When you get out of the shower, having a towel readily at hand is important. But, not all bathrooms leave enough space to add a full towel rack, creating complications for those who live alone and for those who share a space alike. To fix this problem, the solution is simple, and it doesn’t involve any complicated handiwork. Instead, pick up a second shower curtain rod and place it on the outside end of your shower, away from where any water can reach it. Shower rods are very easy to install and can hold multiple towels. You can even pickone up that matches the rest of your bathroom’s décor. This trick also works great for when you have guests over, and you can put away the second shower rod if you don’t need it otherwise. 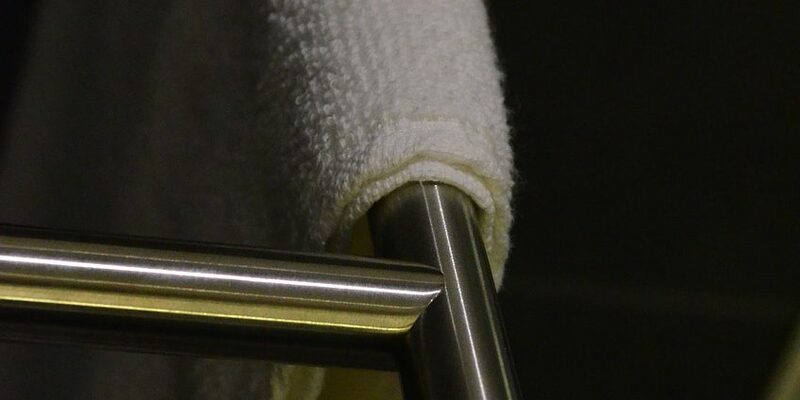 The best part: your towel is in easy reach, no matter the layout of your bathroom.